2011 wasn't a great year for me. I lost a friend, a cousin, a baby and found out on NYE that someone I went to school with got into a car accident as well. I went through a lot of stress and depression in the second half of the year. The upside to the year was that I got a Traineeship/Job, 3 years anniversary with Jeremy, turned 20, went on holidays to Philippines - got to reunite with my family & meet Jeremy's side, Jaiden turned 2, cousin got engaged. 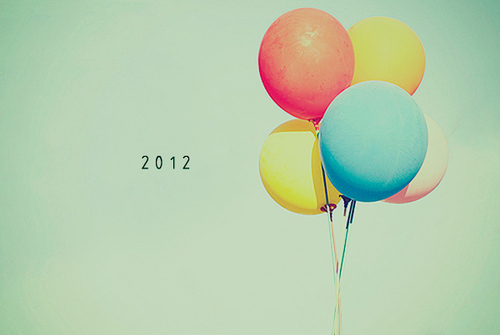 In the new year, all I have planned is to let everything go as it is. My main goals are to prioritise in getting my Provisional License and save as much as we can for a house. I have my 4th year anniversary with Jeremy, my 21st birthday and Jaiden's 3rd birthday to look forward to. Also, I'm looking forward to where my career will take me this year as my Traineeship ends in May. As many people rely on the new year to 'change' or have a 'fresh start', I won't be one of those people this year. After taking some time off from reality at our holiday, that's when I wanted to change my overview on everything. I couldn't let my family suffer from my anger, hate and sadness. Especially Jeremy; I can't just let the effort he goes through just to make me happy go down the drain. All I can do is be grateful and thankful I have such amazing supportive people in my life. So cheers to the adventures we have awaiting for us for the new year. Happy New years to all my beautiful readers and bloggers!